This photo frame is an example of a great project to have in the wings! I love to pick up small items where I can, and paint them when I have a color open that inspires me. 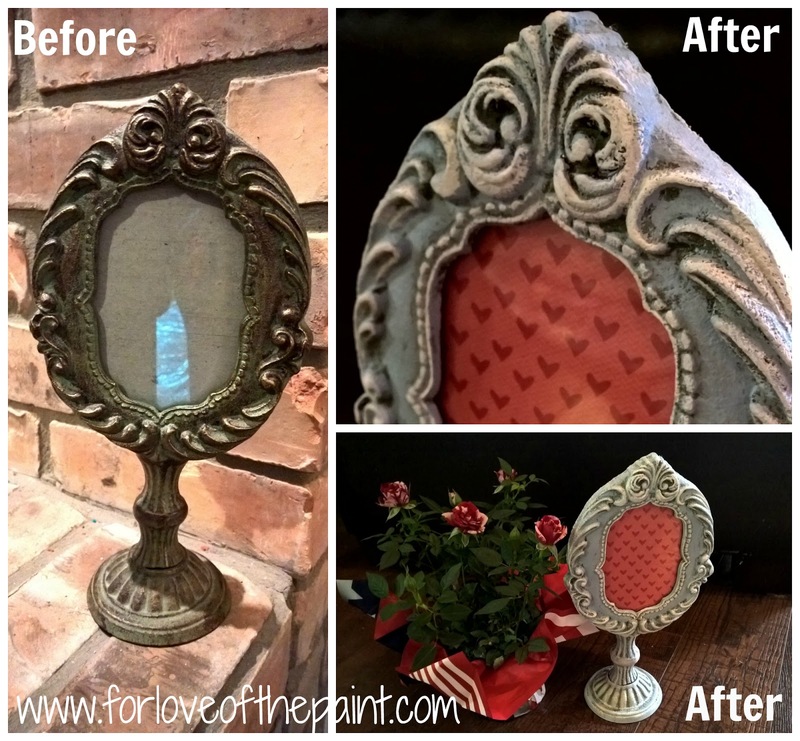 In this case, I was painting a mirror with Annie Sloan Chalk Paint in Louis Blue to match a client's dresser, and decided that it would give a perfect touch to this pedestal frame. I love how it really brought to life the gorgeous carved details! I also added a highlight of Pure White to the highest points of relief. Here's an in-progress photo so you can see how much visual interest it gains with the addition of the white vs. the blue by itself. 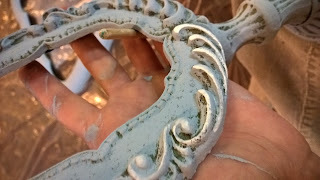 Then, I sealed the frame with clear wax, and a little dark wax for antiquing! I love the end result! This was the perfect way to spend my time while my other project dried. Can't wait to get started on the next one, and see where the colors may take me!